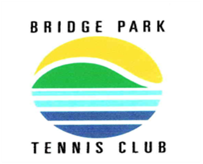 Utu Tuima is the resident coach for Bridge Park. Utu is a fully accredited Junior coach who has been coaching for a number of years. He is also always happy to share some tips. Utu has played Caro Bowl and is currently playing in our Ferrier Cup Team. Utu has also represented Tonga. We do provide a restringing service. PLEASE CONTACT US. ​Join our FREE Breakaway Holiday Program.